Social Media Marketing is the need of the hour as it can play a critical part in any business marketing campaign. It can significantly boost the traffic to your website and lead to increased conversions. This means higher returns on investment (ROI) and enhanced reputation in your field of work. 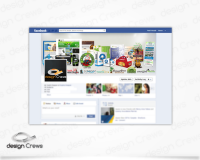 We at Design Crews provide a range of Social Media Marketing services for our clients including Facebook and Twitter marketing. We are backed by a team of marketing experts who can develop the right social media plans for your business that can establish a strong presence of your business on various platforms and grow a base of customers. Did you know there are more than 1.3 billion accounts on Facebook and 64% of these users engage with the platform every day? Facebook is a great business opportunity that businesses can tap into to widen their audience base. 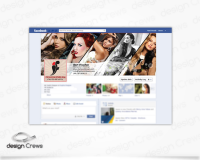 We at Design Crews can develop a comprehensive marketing strategy that allows you to promote your brand, meet your social media marketing goals and drive awareness. Twitter is one of the fastest social media platforms that can prove advantageous to your business. It has more than 302 million monthly active users, and that continues to grow. Our social media team experts can craft a customised marketing strategy for your business to convey your messages in front of the entire world. Sharing new content, announcements, news and events or any industry-specific updates on your social media accounts to encourage users to visit regularly. Tracking every social media interaction. Be it shares, likes, comments or tweets to keep a tab on the total reach and understand the user engagement levels. 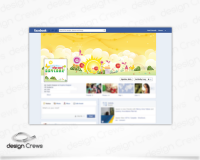 Holding contests to create a buzz about your business and grab the attention of prospective customers. Usability testing as we understand even the best of plans may need regular tweaking to match with the evolving requirements of the search engines, business and the customers. Using paid social media ads to boost our marketing efforts and making your business stand out from the rest. Keeping abreast with the most recent trends in Search Engine Optimisation (SEO), blogging and search engines to encourage customer interaction. Get in touch with us today to avail our services. We look forward to hearing from you.